A Nashville, Tennessee area entrepreneur gradually grows the Compost Company, servicing more food scraps generators and expanding end product markets.  In 2011, Edward Wansing launched the Compost Company in Ashland City, Tennessee, the first organics recycler in the mid-state region around Nashville. Wansing, who grew up on a farm and pursued a career in sustainable architecture, saw a need for recycling of organic waste in the growing Nashville area. “Before I started the company, I spent a number of months talking to area waste haulers and recyclers, to gauge local interest,” he explains. Wansing also contacted several area municipalities, tree trimmers and line clearing contractors to line up sources of carbon in the form of tree and yard trimmings. Today, Compost Company has contracts to receive wood waste from the city of Clarksville, one major contractor (ABC Tree) and a number of smaller firms. The Compost Company also had been receiving mostly preconsumer produce from a local Walmart and Sam’s Club. Over time, however, preconsumer produce waste has become less available as a composting ingredient, with more of it being used for animal feed by local farmers. “We have been diversifying our feedstocks by implementing our own hauling service and expanding into new areas,” Wansing notes. “We are becoming more independent of the larger waste haulers, to better control our supply of incoming feedstock.” The Compost Company found interest among several large generators, including the Music City Center convention facility (which generated an estimated 8 tons of organic waste last year, according to the Center’s annual report), along with several Nashville office buildings and food processors. It also services hotels and conference centers that host events producing large amounts of postconsumer food and paper packaging and serving waste, as well as compostable bioplastic serviceware.